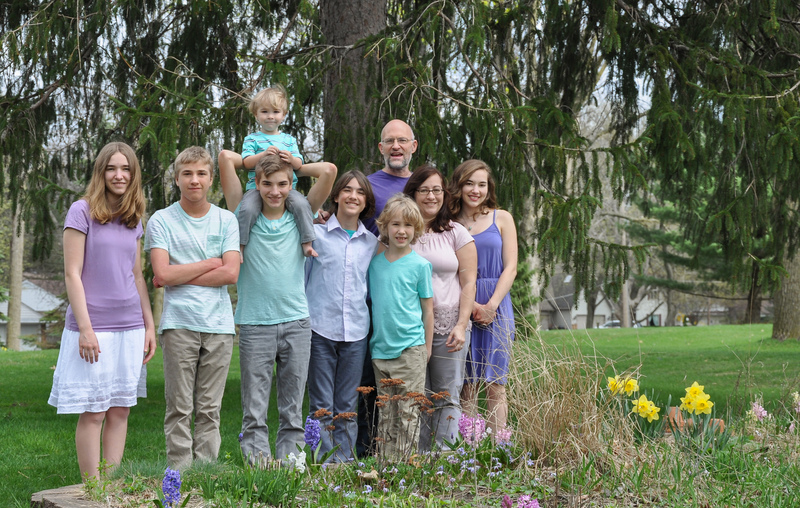 We are a small home business operated by Eric and Jamie Border and our seven children. We began our business in the foothills of the Blue Ridge Mountains of North Carolina and we are now living in Michigan, where Jamie grew up. Our journey into this venture began Thanksgiving of 2001. We offered them in a gift set to family and friends for Christmas presents. Thus began our special home-based business. We currently have over 1000 shapes and we are continually expanding our collection. Eric still forms each cutter by hand without the use of machinery. We now have a new collection of cutters formed by our daughter, Victoria. They are our little "e" cutters. Our other children help us by pulling your orders as well as packaging them! Together, we share ideas on new designs and improvements. Our cookie cutters are a labor of love from start to finish. We truly enjoy what we do and give God the glory for making our dream a reality as He sees us through each new challenge. We strive to make cutters that are uniquely special and each one is carefully crafted to last a lifetime. We pray that you will be blessed by our products and find them to be a treasured addition to your kitchen for generations to come. We have been encouraged by those of you who have sent us your wonderful comments and all of you who are our regular customers. We welcome all and any comments, questions or suggestions. Lord Bless and thank you for helping to support our family with your cookie cutter purchase! "And that ye study to be quiet, and to do your own business, and to work with your own hands, as we command you: That ye may walk honestly toward them that are without, and that ye may have lack of nothing"